VE Commercial Vehicles (A Volvo Group and Eicher Motors joint venture) recorded sales of 4,720 units in November 2018 as compared to 4,916 units in November 2017, recording a decline of 4%. This includes 4602 units of Eicher brand and 118 units of Volvo brand. The key highlights for November 2018 - Eicher branded trucks & buses have recorded sales of 4,602 units in November 2018 (YTD 45009 units) as compared to 4,727 units in November 2017 (LYTD 36,169 units), representing a decline of 2.6% ( YTD growth at 24.4%). In the domestic CV market, Eicher branded trucks & buses have recorded sales of 3817 units in November 2018 (YTD 38778 units) as compared to 4062 units in November 2017 (LYTD 31058 units) representing a decline of 6% (YTD growth at 24.9%). 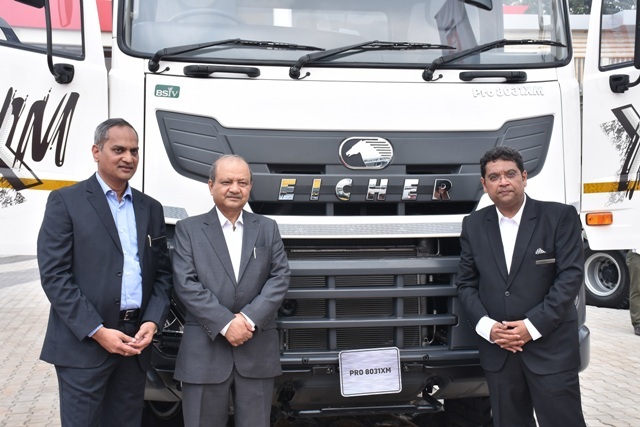 On the Exports front, Eicher branded trucks & buses have recorded sales of 785 units in November 2018 (YTD 6231 units) as compared to 665 units in October 2017 (LYTD 5111 units), representing a growth of 18% (YTD growth at 21.9%). Volvo Trucks has recorded sales of 118 units in November 2018 (YTD 714 units) as compared to 189 units in November 2017 (LYTD 575 units), representing a decline of 37.6% (YTD growth at 24.2%).